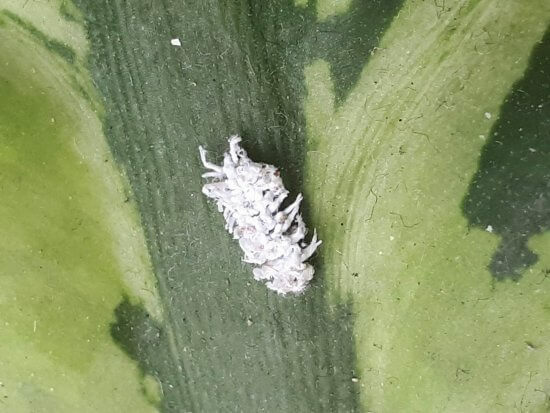 This week, we had a delivery of Cryptolaemus monterouzieri – a predatory species of ladybird from Australia, which is also known as the Mealybug Destroyer! As its name suggests, it feeds on mealybugs which are the bane of many botanical collections around the world. 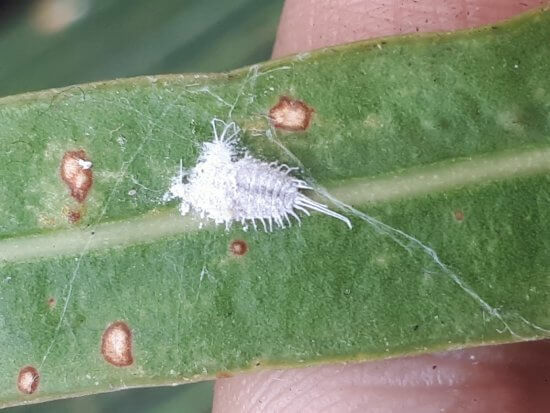 Interestingly, the larvae of Cryptolaemus have evolved to look like the fluffy white mealybugs – this is an example of aggressive mimicry, or “a wolf in sheep’s clothing,” which allows the ladybird larvae to sneak up on the unsuspecting pests. These larvae then grow up into small black and orange ladybirds, which are thriving in our botanic house. We also use several species of tiny parasitic wasps, which rather gruesomely lay their eggs inside the bodies of pests using an adapted sting called an ovipositor. These control different types of aphids like whitefly, greenfly and blackfly. We use soil nematodes to control fungus gnats – these microscopic worms are invisible to the naked eye, but can be watered into the soil, where they swim around and eat the developing fungus gnats. You may never notice them walking around in our Urban Jungle, but they are there working hard for us behind the scenes. Go bugs!